With film fantasy that is less mystifying than the tonnage of plot threads shoehorned into the movie, Harry Potter And The Half-Blood Prince favors mood over meaning, and basically asks viewers to just go with the flow and forget about the destination. There’s also a bit of grossout lite at work here, as the perpetually famous teen wizards negotiate their hocus pocus raging hormones. And while succumbing to the temptations of all sorts of uncontrollable substances, that could give the pharmaceutical industry some serious competition. Director David Yates and screenwriter Steve Kloves team up for substantial cinematic alchemy of their own, as intrigue involving the Death Eaters and intermittent suspect villains, matriculated and otherwise, collides with romantic obsessions brought on by aphrodisiac potions that might be characterized as teen Viagra. Meanwhile, a more serious-minded Harry dodges female infatuations while on a more serious mission to save the planet, or something like that. 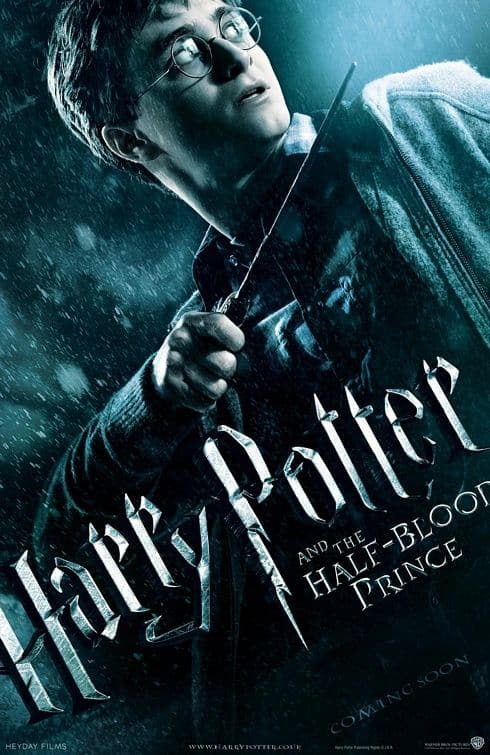 Steeped in surreal visuals, magical animate objects, and intense, both moody and mood altering gothic atmosphere, Harry Potter And The Half-Blood Prince is magnificent to behold, but little else. And with a hopelessly convoluted, occasionally Superbad noir busy plot that is simply too secondary for its own good. 1-Disc Wide screen and Full Screen DVD: No special features. 2-Disc Digital Copy Special Edition DVD: Widescreen version only; Additional scenes; Close-Up with the Cast and Crew of Harry Potter Special; J.K. Rowling: A Year in the Life; One Minute Drills; What’s On Your Mind; Universal’s The Wizarding World of Harry Potter Sneak Peek; Universal Orlando Resort in Florida; Digital Copy of the theatrical film (2nd disc). 3-Disc Blu-ray + DVD + Digital Copy Combo Pack Extras: Digital Copy of the theatrical film (2nd disc); DVD version of the theatrical film (3rd disc); WB Maximum Movie Mode with Director David Yates, Producers David Heyman and David Barron, and cast members Daniel Radcliffe, Rupert Grint, Emma Watson and Tom Felton; BD-Live Media Center including My Commentary, Live Community Screening and other interactive features. Also included is an introduction to the upcoming Harry Potter Ultimate Editions by Daniel Radcliffe; BD-Live interactivity: Facebook Connect; Additional BD-Live features.